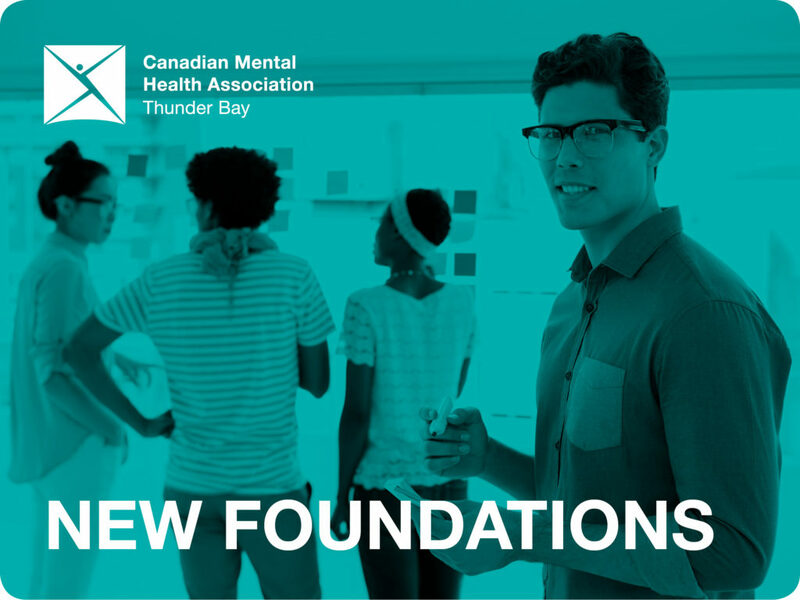 New Foundations offers a range of supports to assist people in developing skills in education, employment, housing, and social rehabilitation. New Foundations provides employment, education, social activities, housing support, advocacy, and brief case management for people with mental health issues in order to achieve recovery in every aspect of their living. The Intake and Referral Worker supports individuals by assessing needs and providing current information regarding mental health services within the agency and in the community of Thunder Bay. If an individual would like to join New Foundations, an intake will be completed. The Intake Worker will then schedule a program orientation to further identify service options that match personal strengths and goals. Program participants and staff work together in a structured day program. Each individual self directs their own recovery journey through active participation. The ability to develop meaningful relationships, enhance skills, and to connect with resources are experienced through a wide variety of opportunities. The skills, talents, creative ideas and efforts of every person are valued and encouraged each day. By trying new experiences in a safe, inclusive environment, respect is ensured to each individual as they work toward their recovery goals. Persons 16 and over with mental health concerns.